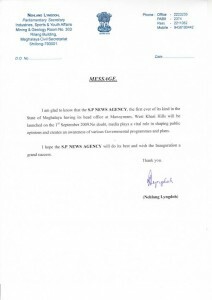 Welcome to SP News Agency, the bilingual portal news from Meghalaya having its head office at Mawsynram Village East Khasi Hills 65 km from the capital Shillong. 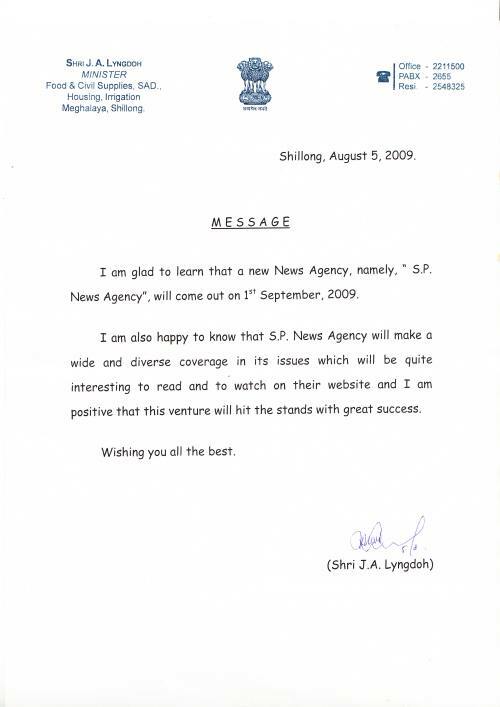 The agency launched on the 1th September 2009. 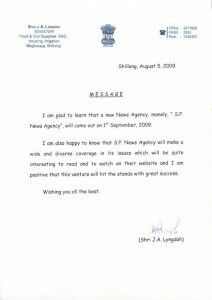 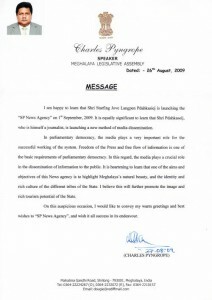 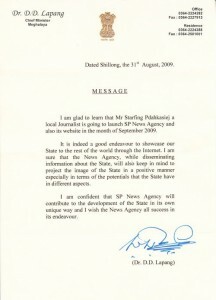 The objective of having a bilingual news portal is to enable all section of people to avail the same information to all who click to the website www.spnewsagency.com. 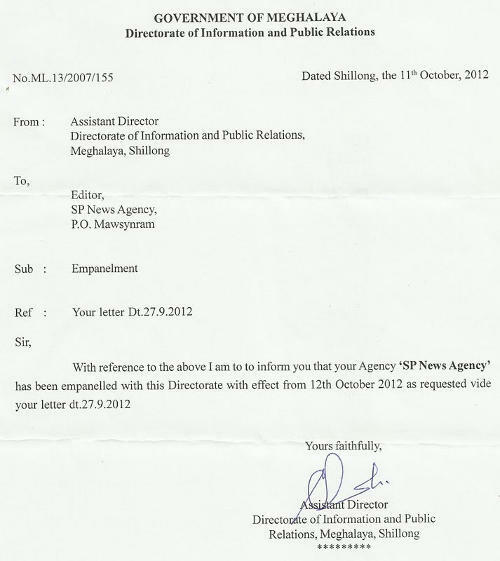 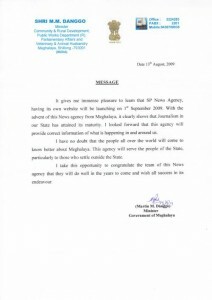 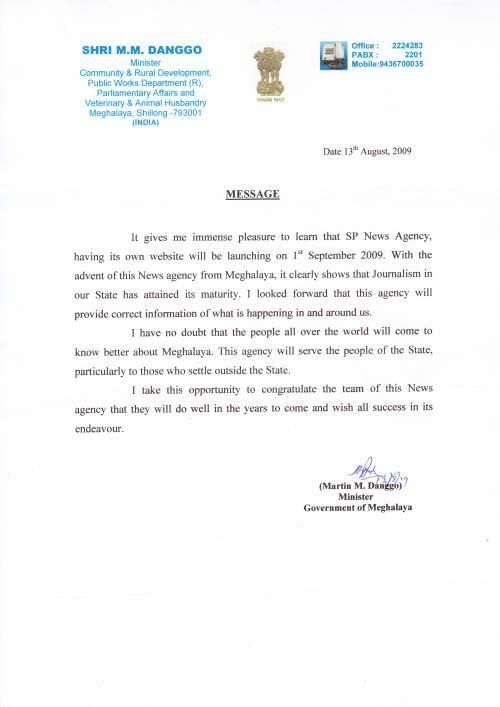 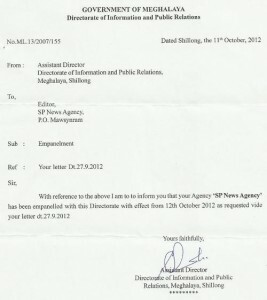 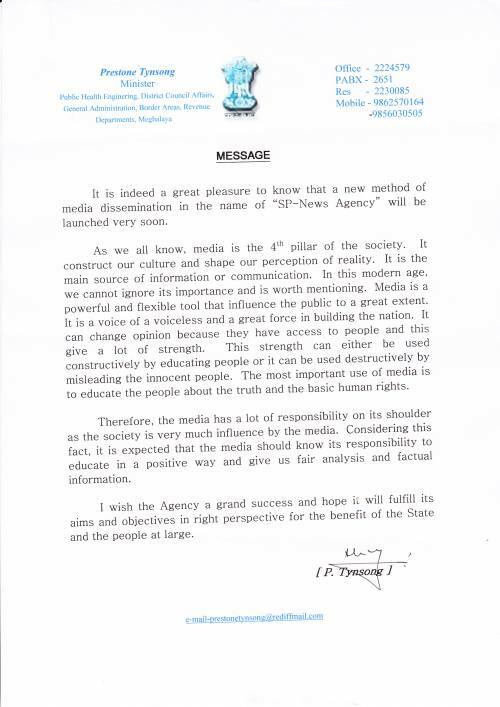 After completing three years the Government of Meghalaya, Directorate of Information and Public Relations on 12th October has empanelled, the SP News Agency with the Government. 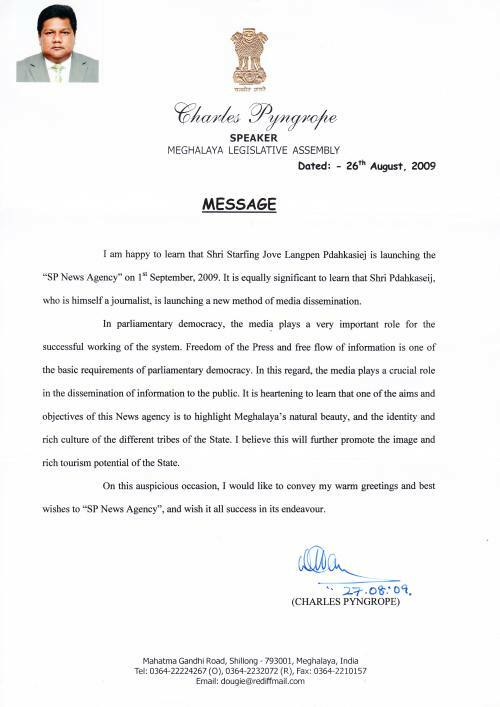 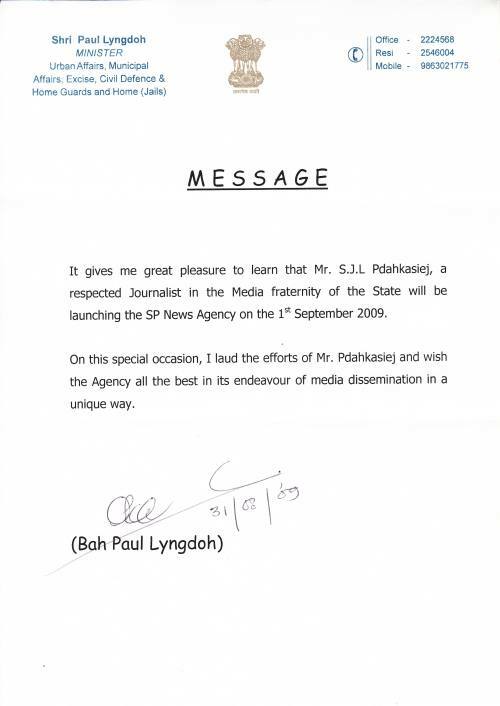 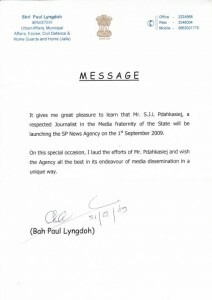 The founder of the agency, Mr. Starfing Jove Langpen Pdahkasiej, enter into the journalism profession on 7th September 1994 as the reporter U Mawphor Khasi Daily News Paper and he had associated himself also with Rupang, Upeitnor, Nongsain Hima and Jingshai, all are vernacular press. 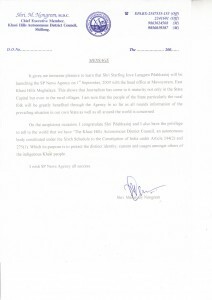 He also Edited two newspapers Dienjat and Syrwet Umjer apart from that he was also a correspondent for Easternprojection Agency and Ub Photos Agency from Guwahati. 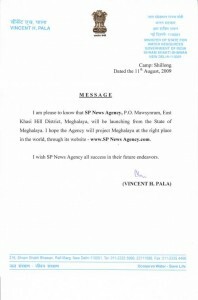 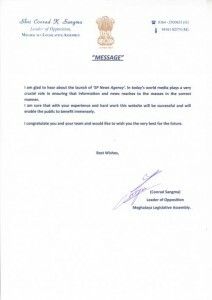 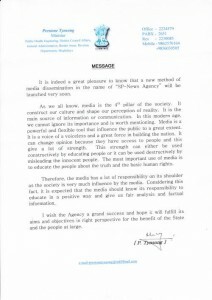 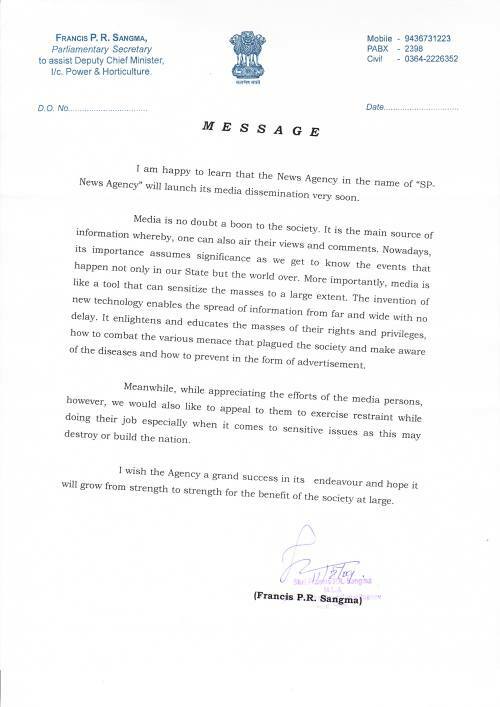 The objective of the SP News Agency is to disseminate information to every nook and corner of our state Meghalaya and to the world at large. 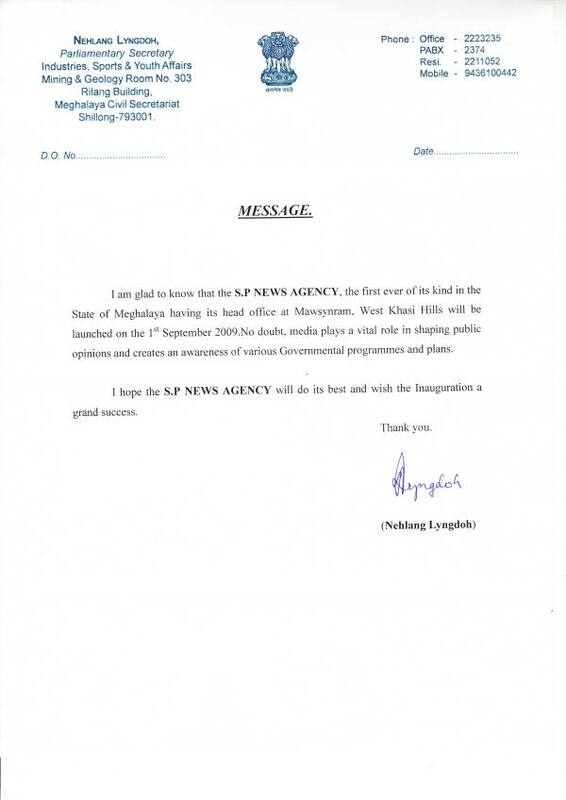 In spite of having various vernacular paper dailies, weeklies and English dailies that where printed from the state and outside the state, but yet none could fulfill the expectation of the people, especially the rural masses are still missing the opportunity of getting information. 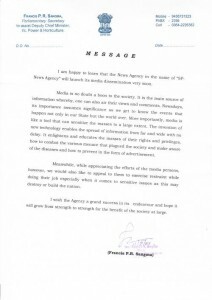 With the emergence of technologies, people can access all the latest news that happen around us with just a click away, through internet or in their mobile without waiting for news paper to reach to your door step or to a village. 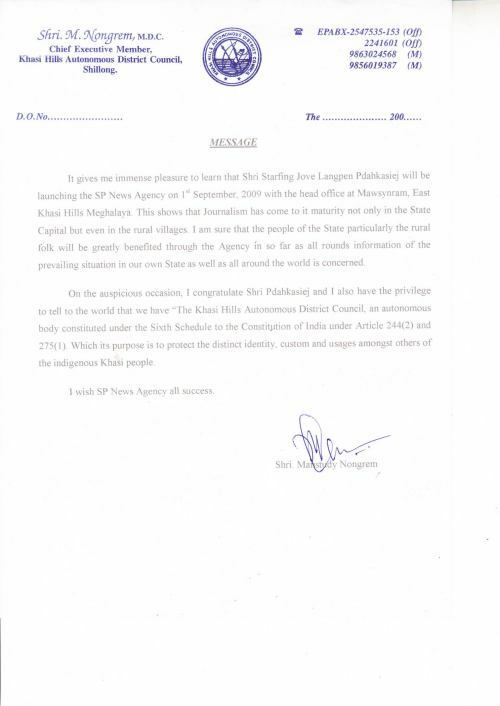 With this humble beginning will be able to suffice the need of our people to obtain information on what is happening around us.